On the eve of the interleague portion of the schedule, nearly one month ago, the Hiroshima Carp were leading the Central League with a 27-15 record and tied with the Pacific League-leading Orix Buffaloes for the best record in NPB. After ending a postseason drought that had stretched over two decades last season, Carp fans were enraptured with the team’s strong start to the year, and dared to dream of the type of success the franchise enjoyed during its “Aka-heru” era. Then Japanese baseball began its interleague season-within-a-season, and it’s been all downhill for the Carp since then. Hiroshima lost to the Chiba Lotte Marines on Saturday afternoon to drop to 4-14 since the start of interleague play. The Carp have also lost nine straight games since June 1, their longest losing streak since dropping eight in a row from Sept. 15-25 in 2012. 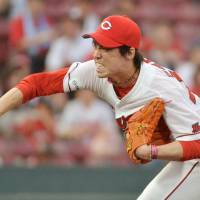 “It doesn’t mean we’re giving less effort,” Carp manager Kenjiro Nomura told reporters on Friday. The Hiroshima bullpen imploded on Saturday, giving up four runs in the eighth. On other days, the fault has been with the Carp starters, and when the starters have been strong, the offense hasn’t clicked. Hiroshima is in last place in the interleague standings, but no matter how things end up, the club’s goal is the CL pennant and a Japan Series title after that. Still, since NPB began interleague play in 2005, few teams that have fallen this hard have been able to get back up. The 2008 Seibu Lions are the only team to finish 10th or lower in the interleague standings and still win a league pennant. The Lions went 10-14 against CL teams that year, but later went on to the PL pennant and Japan Series. The Carp are no strangers to subpar interleague campaigns. Hiroshima finished higher than sixth only once, in 2009, and was last in both 2007 and 2011. Getting hot in here: Takeya Nakamura’s bat is warming up with the weather. The Seibu Lions third baseman hit his 12th home run of the season in Friday’s 7-0 win over the Hiroshima Carp. The 30-year-old slugger is on fire this month, with a .308 average, seven homers and 13 RBIs in 10 games. Nakamura’s home run on Friday was also the 250th of his career, making him the 59th NPB player to reach the milestone. After a late start to the year due to a nagging injury, “Okawari-kun” is looking more like his old self every day. For sure he’s pulling the ball over the fence as always, with 11 of the right-handed slugger’s 12 home runs this year going into the left-field seats. The lone exception was a blast to center against the Hokkaido Nippon Ham Fighters May 1. Road to recovery: Chunichi Dragons reliever Takuya Asao is easing his way back into action after missing the first 56 games of the year while on the mend from an right elbow injury. Since returning June 6, Asao has made four appearances and has recorded a pair of holds and struck out four in four scoreless innings. The right-hander was the Central League MVP as a setup man in 2011, when he made 79 appearances, struck out 100 and posted a 0.41 ERA in 87⅓ innings. He’s been plagued by injuries since then, and was limited to 29 appearances in 2012 and 34 last season. 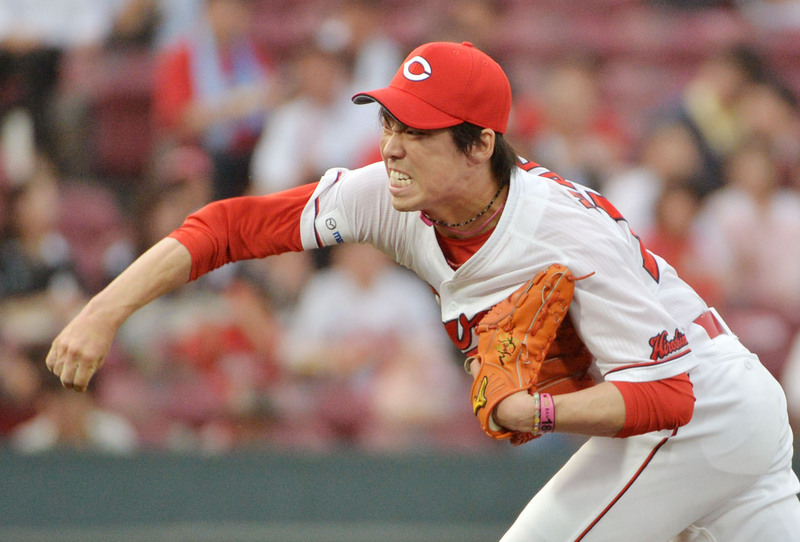 Better late than never: The Seibu Lions used their third pick in the 2007 draft on a pitcher named Ryohei Fujiwara. For years, Fujiwara toiled on the Lions’ farm team before finally making his debut in 2011. He made only a handful of appearances after that and was 0-2 entering this season. Fujiwara finally tasted victory on Friday night against the Hiroshima Carp, striking out four over 5⅓ scoreless innings to win his first game nearly seven years after being drafted.